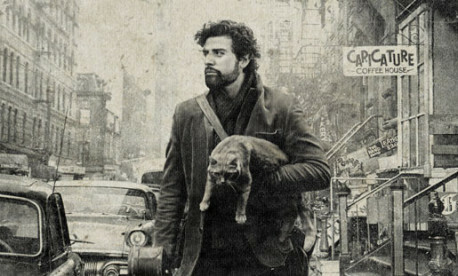 Llewyn Davis is a singer during the 1960s New York fold scene. The audience spends a week in the life of Davis while he tries to promote his records while couch surfing within the five boroughs. This star-studded cast had all-stars (Justin Timberlake, Carey Mulligan, and John Goodman) to potential new comers like Oscar Isaac. Isaac did a brilliant job playing the lead role, and displayed excellent music ability. The actors also helped create a balanced tone of both comedy and somber. The music overall was entertaining and helped move the story along. The soundtrack alone should be the reason that you go and see this movie. It is also a good, consistent theme that helps the audience have a better feel of the emotions portrayed by the actors. The Coen Brothers did an excellent job writing and directing this movie, but it was a little bit of a strange movie. It was entertaining and surprisingly funny, but a lot of things were kind of off about this film. The cinematography perfectly fit the tone and time period of the movie, but I probably wouldn’t see this again for a very long time.